and inspire others along your journey. Set goals, share your journey & inspire others. Don't just live in the digital world. Take action! Post updates, get motivated and go be you. Failure Is Not An Option. Set and Manage Goals Anytime. Anywhere. FINAOs aren't just goals with a start and finish. They're things that matter most to you. So find something you love and LIVE it. I will conquer Mt. Kilimanjaro! Study hard and ace the final exam. I will eat healthier & exercise to reach my target weight. I will give back to my community. I will train hard every day to perfect my craft. What is it that you want to achieve? Create public or private FINAOs that matter most to you on a safe and engaging environment, whereby your own definition of success, Failure Is Not An Option! Whether you are On Track or Behind, share your journey towards reaching your FINAOs with friends & family. Help inspire others with every post you make, or perhaps even receive a little encouragement yourself. Every step, or mis-step, of your journey is important. You're not just sharing posts, you're sharing life moments. On FINAO, the more the merrier! Surround yourself with a community of positive, like-minded individuals. Follow people, groups and FINAOs that interest you most, and have them follow you back. Inspire & be inspired! It’s important to set goals, not just individual goals, but also goals you share with friends or like-minded individuals. Whatever you want to accomplish, very often two heads are better than one – or three – or four! Create or join a group now and work towards achieving your FINAOs together! Give your profile that special something that is unique to you by uploading a profile and banner picture. Don’t forget about your bio! Tell us about yourself and your ambitions. What motivates you? What makes you tick? What do you hope to accomplish? 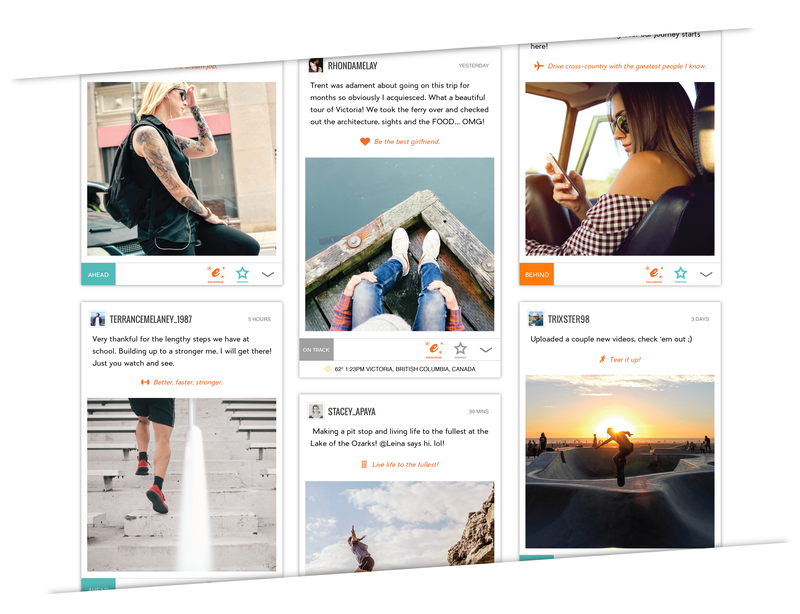 On FINAO, it's easy to invite others to the platform through social media and email. The app is completely free for anyone over 13 years of age to join. The FINAO community is teeming with passionate and inspiring people who will welcome you with open arms. There are a lot inspirational people out there, you included! And what better place to find inspiration than FINAO Nation? Track your journey and be inspired by a community of go-getters! 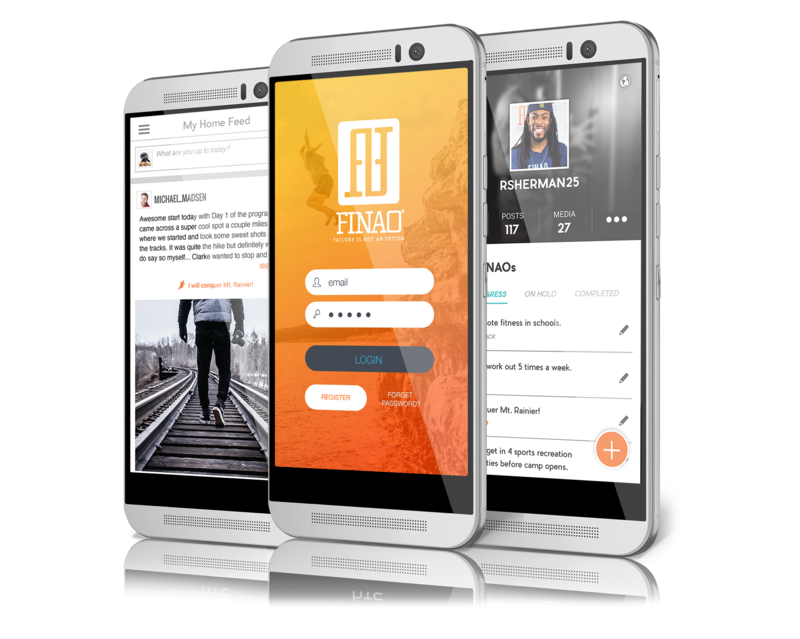 Subscribe to our FINAO newsletter and receive notifications about recent news, special events, and latest promos & giveaways. Always stay up-to-date! Copyright © 2019 FINAO®. All Rights Reserved.